This building which has a versatile façade and a commercial-parking function is located near Asef and Zaferaniyeh junction in the north of Tehran. The design was commissioned to Padiav Parth after the structure was built and due to the many ramps, many constraints existed. The location of the building near an important junction, its function and the rupture of the green space in front of the building were parameters taken into consideration in designing the building. 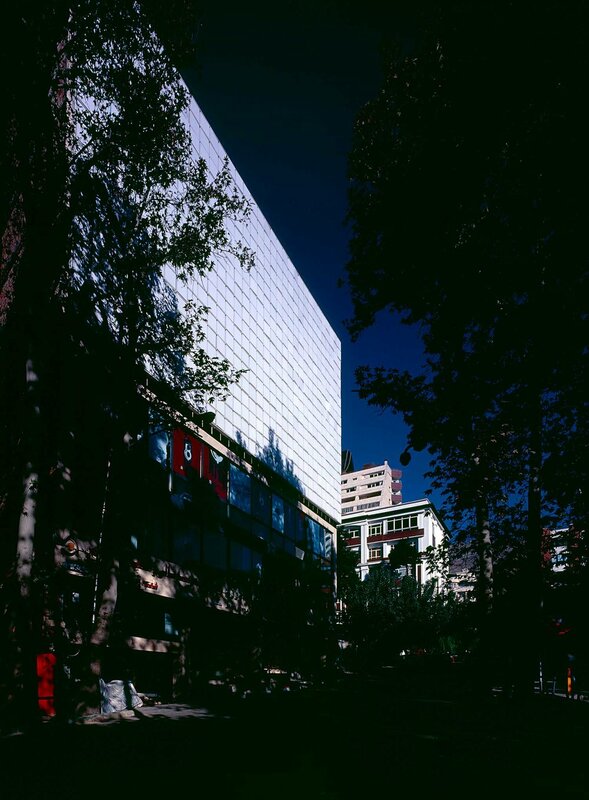 Continuing the green space into the building, creating different transparency levels according to the various functions, and use of the façade as an advertising billboard were some of the first ideas for design. The most significant concept was trying to create a versatile façade in which the patterns could be changed at different times in order to create a dynamic elevation. The ultimate design is a plane created with rotatable panels in 19 rows and 34 columns. 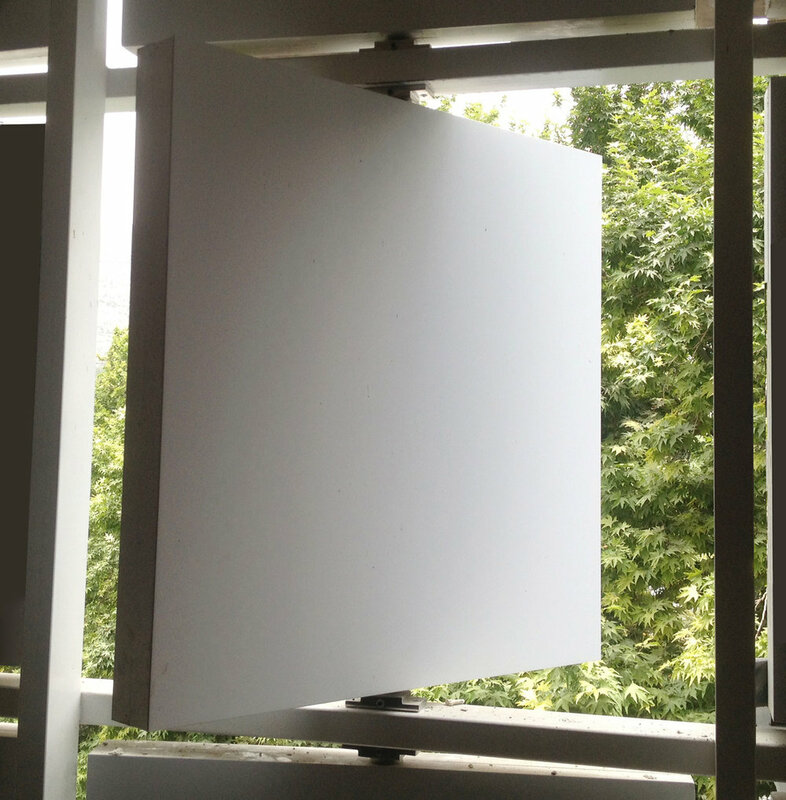 These panels act as pixels and by rotating them, different patterns can be created thus acting as an advertising billboard. After the first phase design, detailed drawings were made for the rotatable panels, which resulted in shop drawings so that the seams between the panels were minimized. After design and manufacturing various models, the best one was selected, produced in a factory and installed in the façade.